Volkan Terzioglu: Is it because a poet writes a poem or a painter paints a painting because he wants to create something that lives longer than him or her? My background as an improvising musician can jar my present artistic incarnation of composer. The nature of each discipline’s output is particularly discordant, with improvisation’s focus on transient performance appearing at odds with the discreet and finalized quality of a composition. In practice these poles often gravitate towards a grey middle, through recording projects or revising habits or other such deviations, but a residual tension of performance- versus project-based practice lingers in my artistic substrate. My perhaps-bastardizing redefinition of a visionary artist’s intentions notwithstanding, what is important to emphasize is that these extensions of my internal processes are not about preserving after death but about enhancing during life. A composition is not a capturing of my essence, a horcrux meant to thwart my own mortality, but an elaboration of my innate mental, emotional, and spiritual features. It is a residue of the mind that expands the mind’s capabilities during its creation. It affords my interior topography external expression in a simultaneous mapping and defining of that interior, similar to how light waves collapse into particles: both subjects fix into a more definite reality when studied. The composition is thus not a morbid bid to stave off an object of fear, but a space of augmented living, enabling actions that are otherwise impossible. 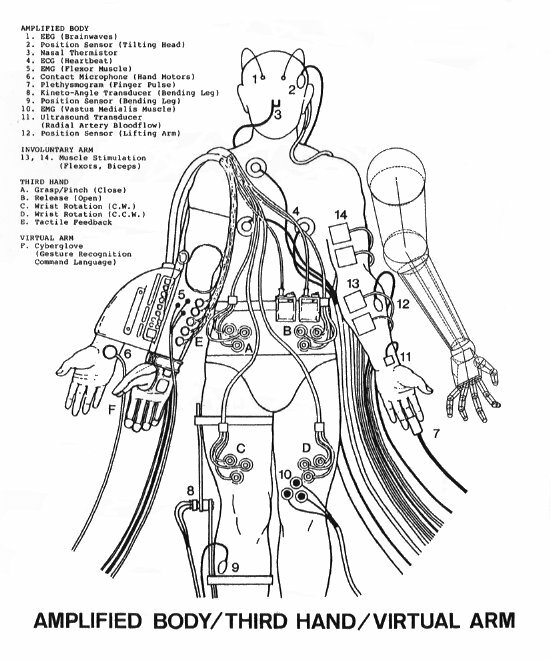 1.STELARC, ‘Beyond the Body: Amplified Body, Laser Eyes, and Third Hand’, Theories and Documents of Contemporary Art, eds. Stiles, Kristine and Selz, Peter (Berkeley, Los Angeles, and London, 1996), 428. 2.Terzioglu, Volkan, ‘Le Quan Ninh – Interview’, Gizmo, July 24, 2006 http://lumpito.blogspot.com/2006/07/le-quan-ninh.html (May 18, 2015). 3. Zalewski, Daniel, ‘Life Lines’, The New Yorker (March 30, 2015), 47.